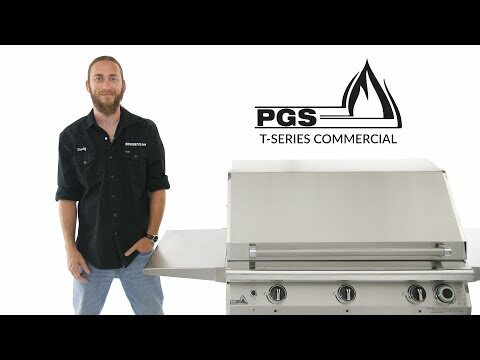 Designed to withstand the rigors of daily use in commercial settings such as apartments, condos and resorts, the PGS T-series is engineered with strong, durable materials while featuring a simple design that is easy to use. This PGS 51-inch built-in propane gas grill boasts a 304 grade stainless steel exterior and four heavy-duty stainless steel burners that push 102,000 BTUs of total cooking power on the grilling surface. The ceramic Moon Roks with stainless steel rock grate offer even heat and perfect smoke control, and the 5/16 inch stainless steel rod cooking grids with Vari Grid spacing offer cooking versatility across 960 square inches of main cooking area. 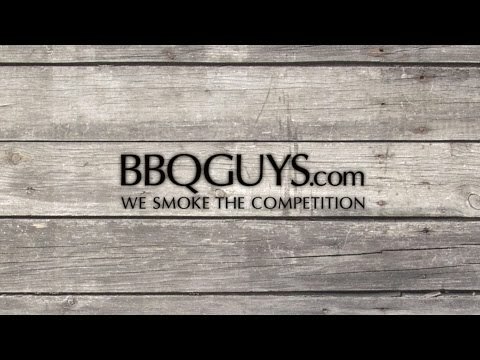 The battery powered, continuous spark electronic ignition means that lighting your PGS grill is quick, easy, and safe. The control panel features laser-etched instructions, anti-theft control knobs and a built-in one hour FuelStop gas flow timer. ETL/INTERTEK Approved. 48 X 20" 43 X 20 1/4" 45 1/4 X 20 1/2" 45 1/4 X 20 1/2"
49" 45 3/4" 48 1/4" 48 1/4"
23" 22 3/4" 24 1/2" 24 1/2"
9 1/2" 10 1/8" 10" 10"